Great use of those coloured studs! Your freehand is amazing, this looks gorg! The 3D aspect is genius! LOVE this!!! 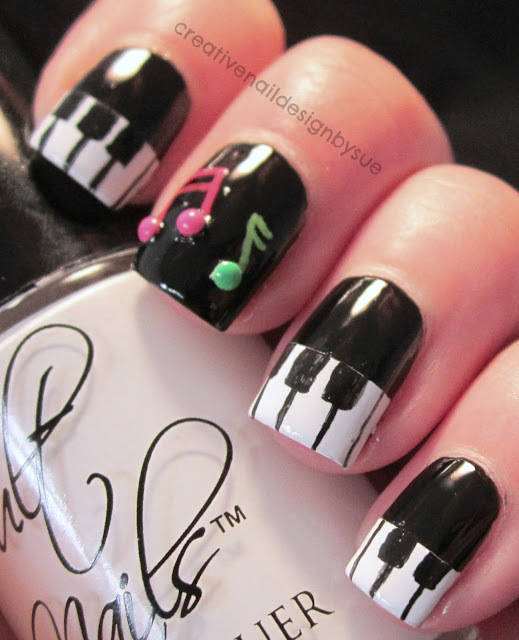 i love how cute you guys all were with matching piano nails! they all look great! omg the coloured studs are a perfect match! what an amazing idea! So cute! I love that the music notes are 3D!